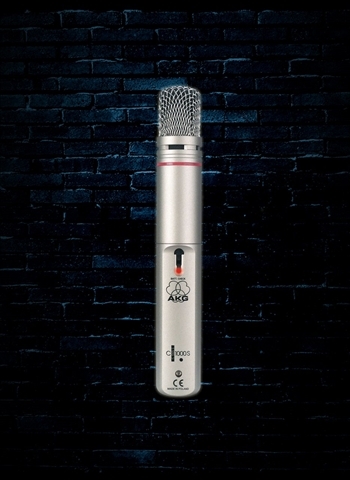 Owing to its versatility, the C 1000 S is immensely popular as an excellent recording and performance microphone. If no phantom power is available you can power the C 1000 S from an internal standard 9 V battery, which makes it ideal for mobile use. You can change the polar pattern from cardioid to hypercardioid simply by mounting the supplied PPC 1000 Polar Pattern Converter on the capsule. Also supplied with the C 1000 S is the PB 1000 Presence Boost Adapter that adds 3 dB of high-end enhancement between 5 kHz and 9 kHz for better intelligibility and makes dull sounding instruments sound crisp and punchy again.